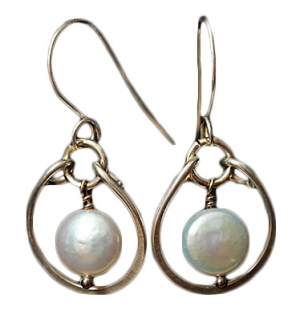 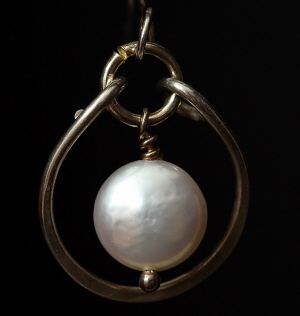 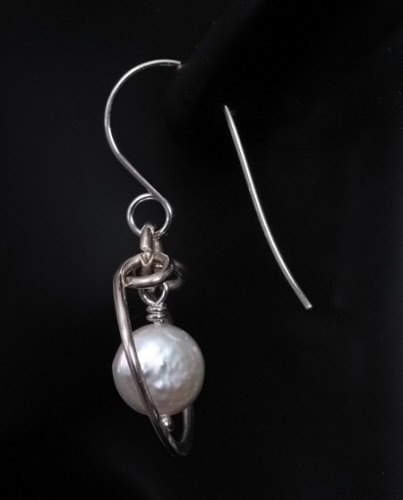 Pearl dangle, a 10 mm coin pearl, creamy white in color with excellent luster. All silver work handmade using argentium wire. 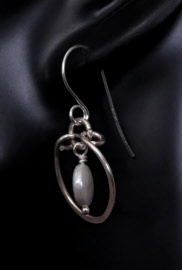 Frame hammered to add dimension.